Engagement (Pre-wedding) photo shoots from documentary photographers? Informal and relaxed engagement photography. Our approach to engagement shoots is as follows. Firstly, its entirely up to our couples if the have the pre-wedding shoot or not. We include it in our pricing, so there is no additional cost involved. Typically 50% of our couples take this option. We leave it to them to suggest a suitable date (for obvious reasons we are busy most Saturdays! ), and a location. Typically the shoot takes place at a country park, or local beauty spot; we have also photographed in the family garden, a hotel grounds and sometimes the wedding venue itself. Depending on timing and workload, we sometimes work together on the engagement shoot, sometimes just one of us takes the session. 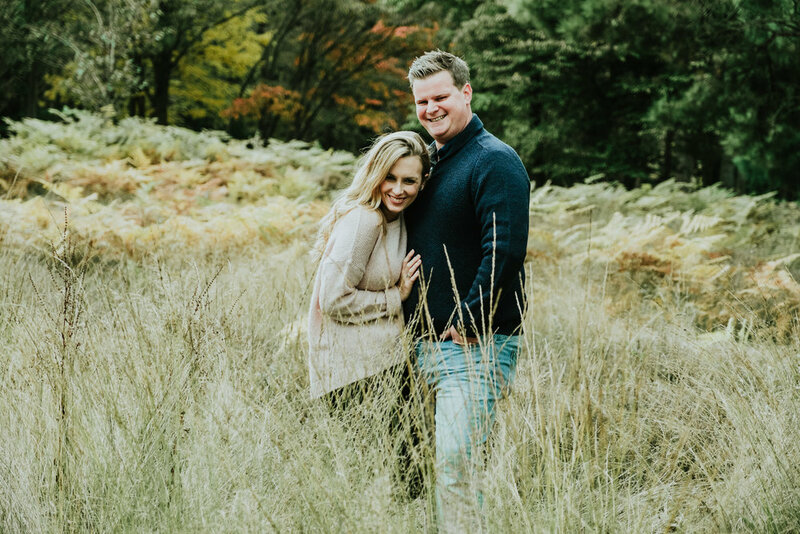 We usually suggest to the couple meeting for a coffee beforehand on the day of the engagement shoot; this is to talk through the shoot, but also as a chance to catch up on the wedding plans. The actual shoot itself typically takes between 45 and 90 minutes. Consistent with our wedding approach, we don't ask the couple to pose formally. We ask them to try and forget we are there, and interact with each other as if we weren't there; have a walk, hold hands, cuddle, even steal a kiss. We find within a few minutes our couples relax and start to enjoy the session. We usually take around 100 to 150 images, and provide the couple with around 30 to 40 via our Shootproof hosting site. An example is here. The couple can use the photos as they wish; often they are used for save the date cards, or for guest signing books, which we can provide for a small cost. If you would like a FREE engagement shoot as part of your wedding photography package, we would love to hear from you. Newer PostFREE engagement photoshoot special offer! Older PostWhy the change from SSVPhotography to Sam and Steve Photography?